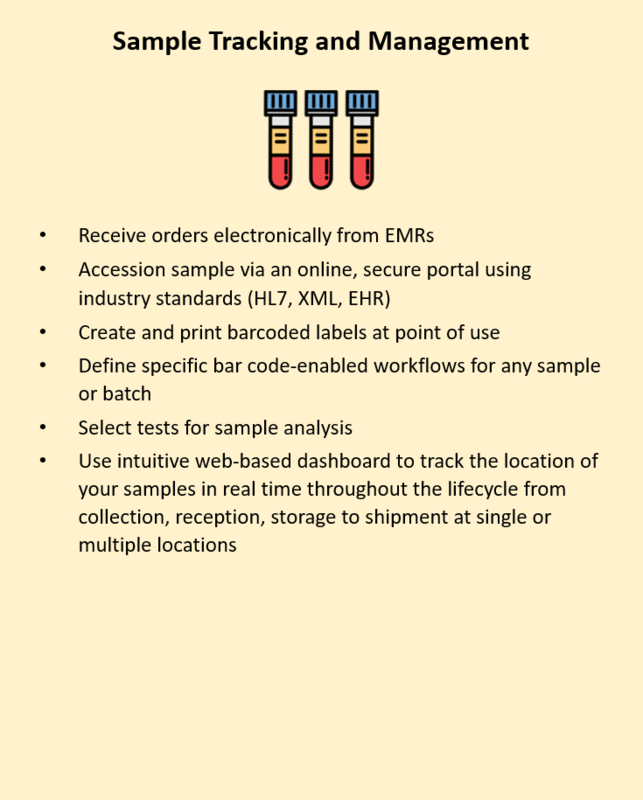 We combine our IT expertise in handling genomic and proteomic data with our flexible 1PLATFORM4® Molecular Diagnostics Software Suite to provide solutions that are rapidly deployed and customized in a cost-effective manner. 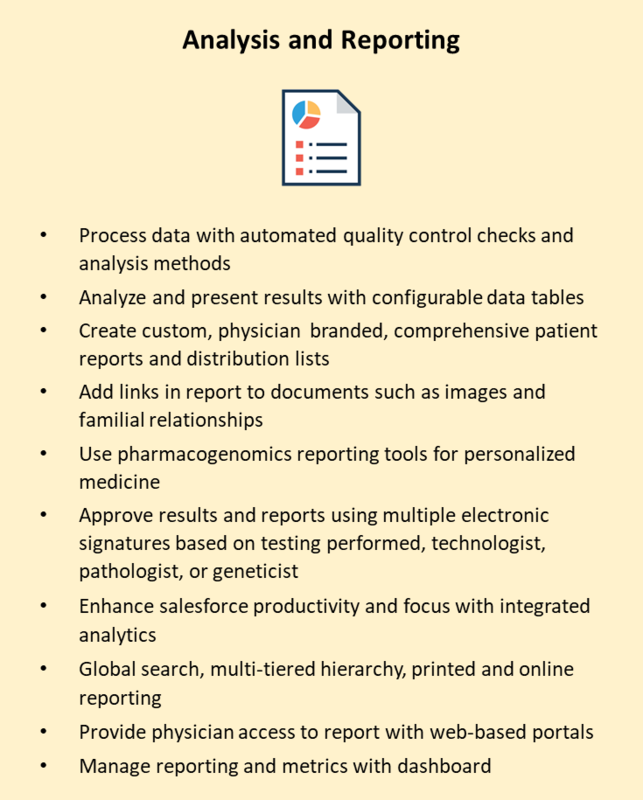 Our customers benefit from an integrated and versatile system designed to streamline complex operations from sample accessioning to final report and billing. 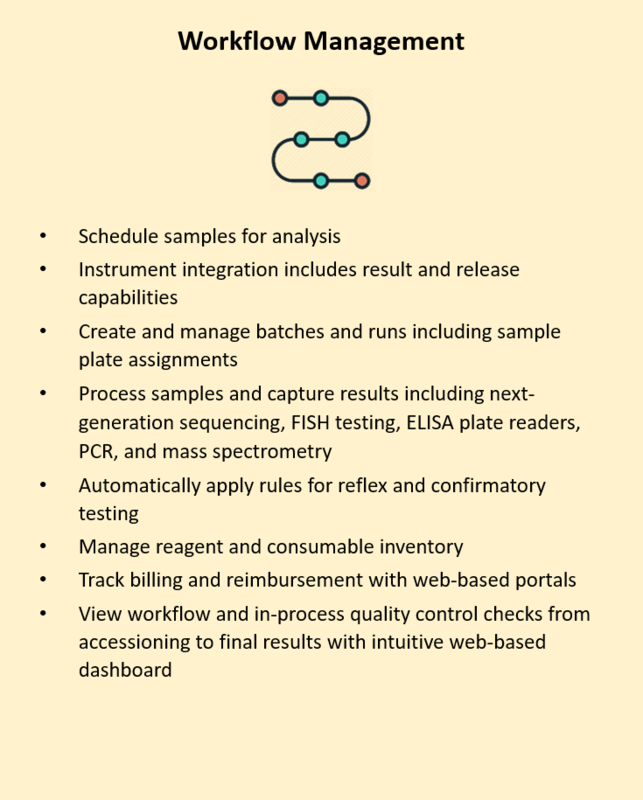 Read our customer spotlights to learn how we expedited operations and improved client and partner interactions for CLIA-certified laboratories with our 1PLATFORM4 Molecular Diagnostics Software Suite. Bob Beliveau demonstrates the data partitioning, roles management, and branding capabilities of our 1PLATFORM4 Software Suite for Molecular Diagnostics.